REGGIE Johnson is set to take his act from the ABL to the PBA. Rain or Shine will be parading Johnson as its import in the coming Commissioner’s Cup, hoping to translate the same success he had while with the Westports Malaysia Dragons, where he won an ASEAN Basketball League (ABL) championship two years ago. The 28-year-old Johnson, a product of University of Miami (Florida) is set to arrive in the country on April 5, according to Elasto Painters coach Caloy Garcia. Incidentally, it was Johnson’s former coach at Malaysia, Ariel Vanguardia, who endorsed his services to Rain or Shine. “Highly recommended ko kay Caloy,” said Vanguardia, the former Phoenix coach, of the stocky 6-foot-10 import. Johnson’s resume is indeed, impressive. Aside from leading the Dragons to the ABL title, Johnson was named Best Import (World) during the same campaign, sharing individual honor with Fil-Am shooting guard Matthew Wright (ASEAN/Heritage Import MVP, and another Fil-Am standout in Jason Brickman (Finals MVP). Vanguardia describes Johnson as ‘Shawn Daniels 2.0,’ the former burly import who previously suited up for Burger King and TnT Katropa. “Ni-recommend ko rin siya kay coach Nash before,” added the Filipino coach, who’s the first and only mentor so far to lead the Dragons to an ABL championship. He played for Mono Vampire team in the Thai Basketball League (TBL), where he also won a championship following his stint with Malaysia. 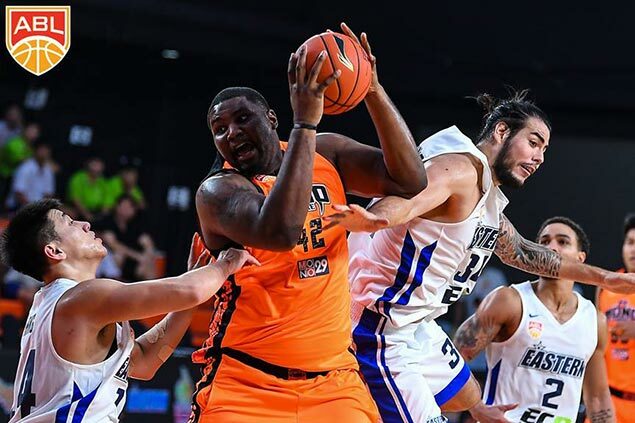 Johnson was also the import of the same Thai ballclub in the ABL, although he left the team in January this year and returned to the U.S. due to personal reason. He was replaced by 7-foot-5 Maltese-Italian Samuel Deguara.